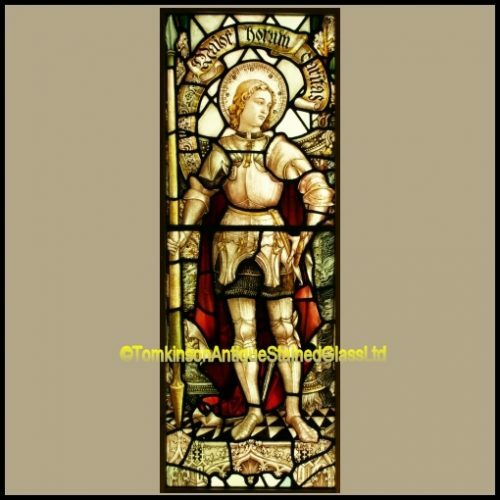 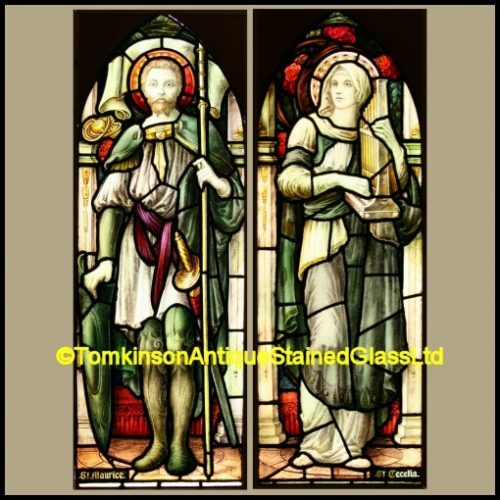 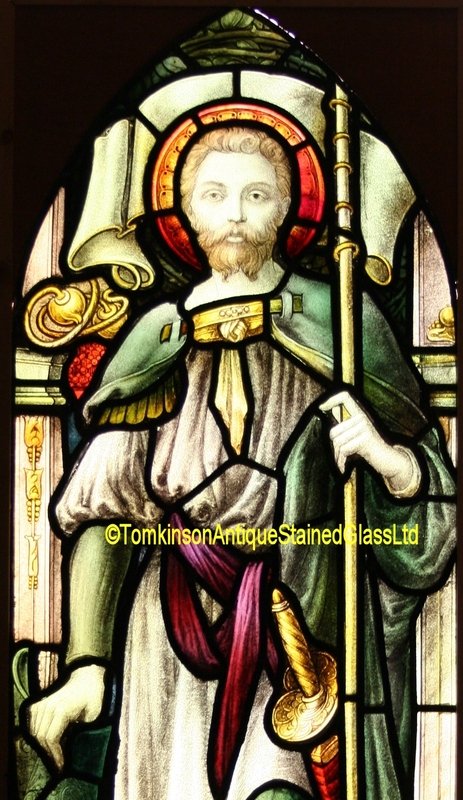 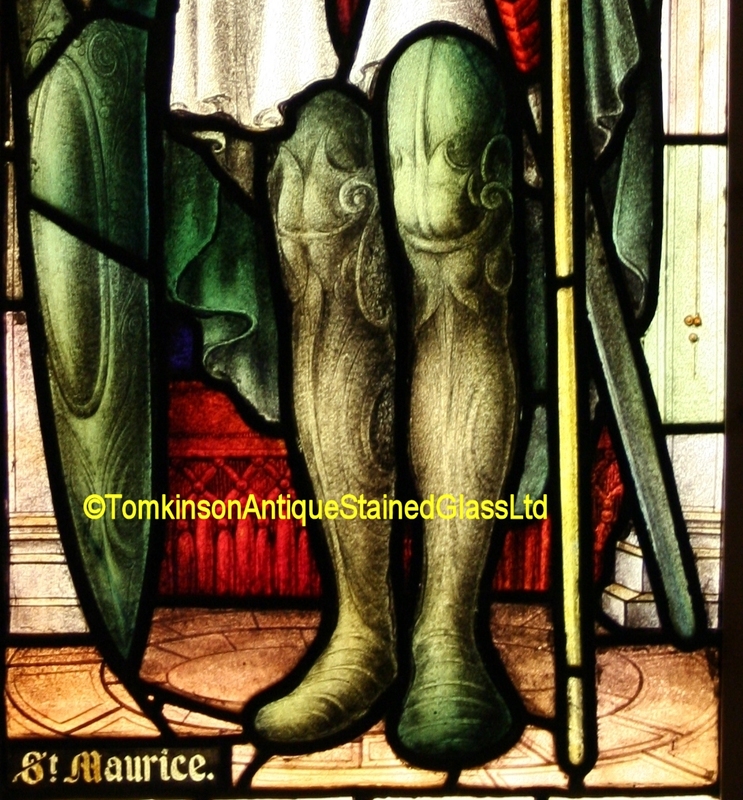 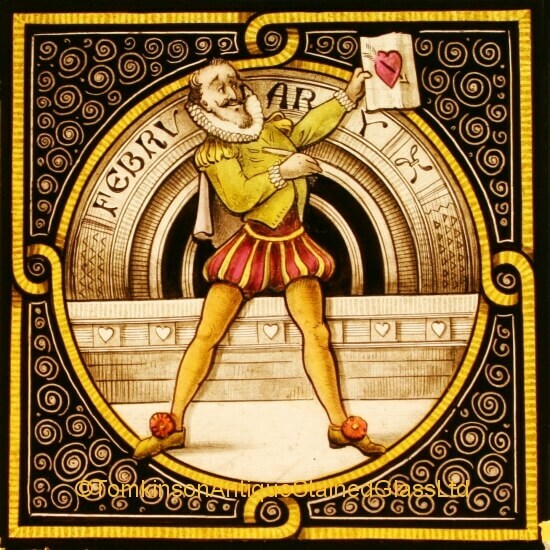 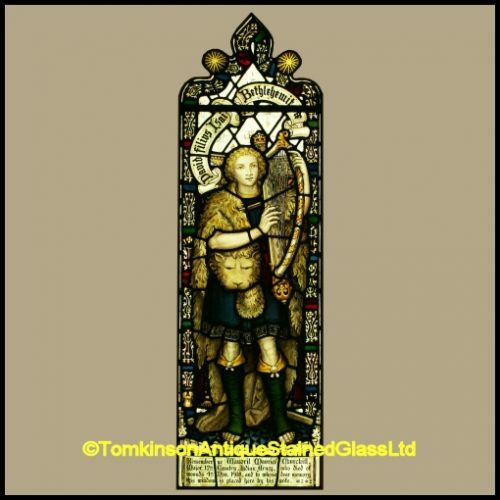 Left window is St Maurice a warrior and leader and is depicted in armour holding a shield and lance/sword. 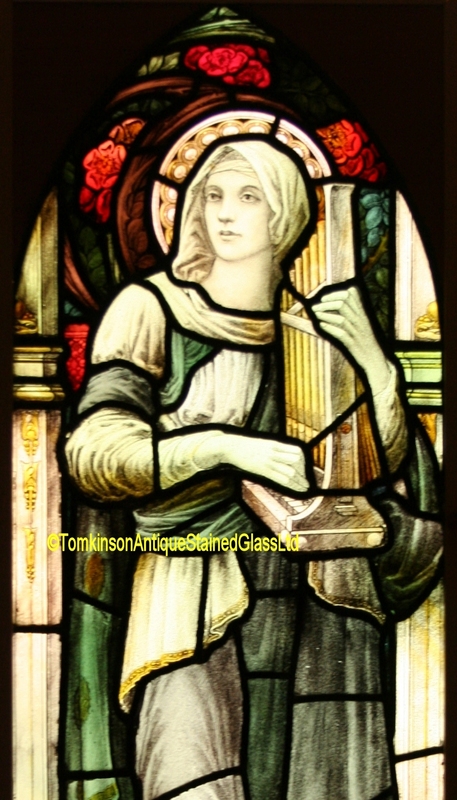 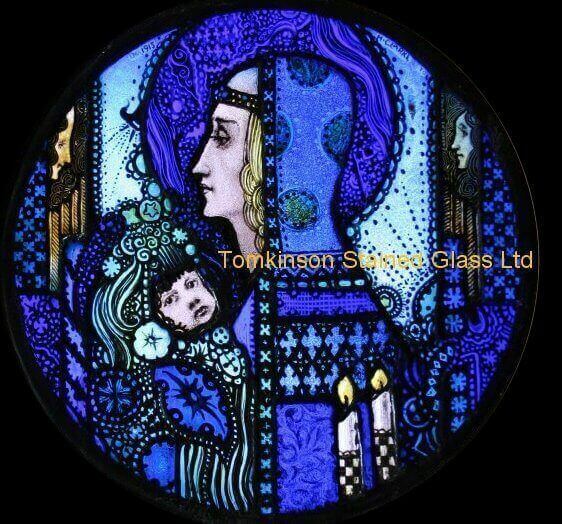 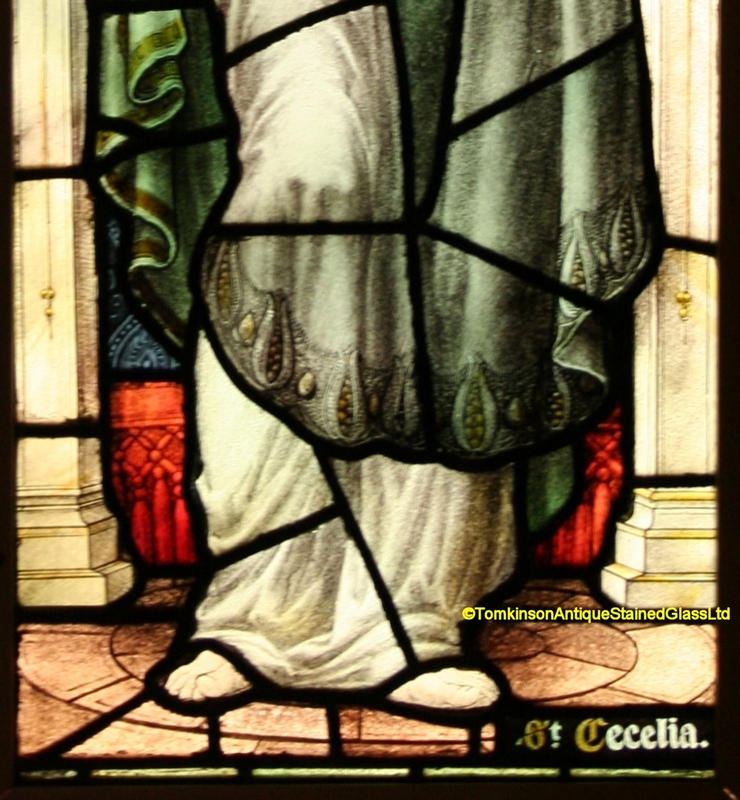 Right window is St Cecilia, parton saint of Musicians and she is holding an organ. 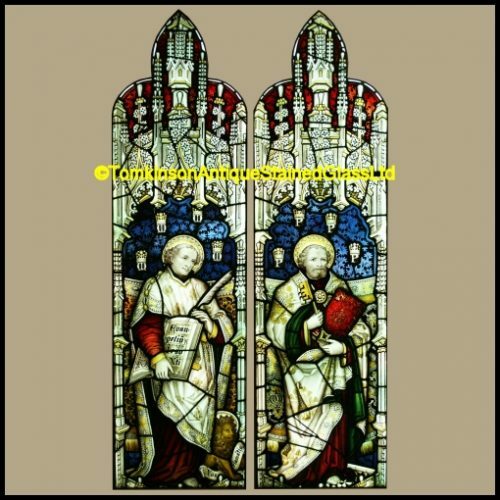 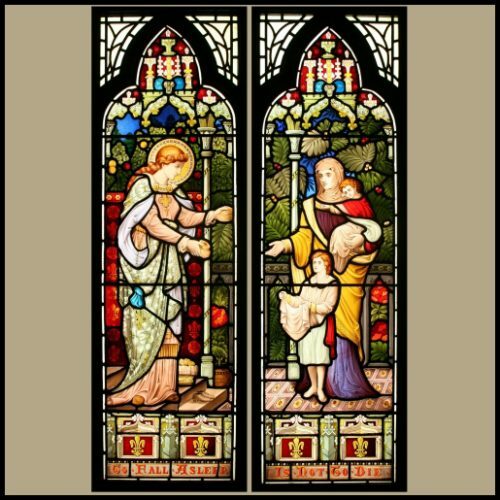 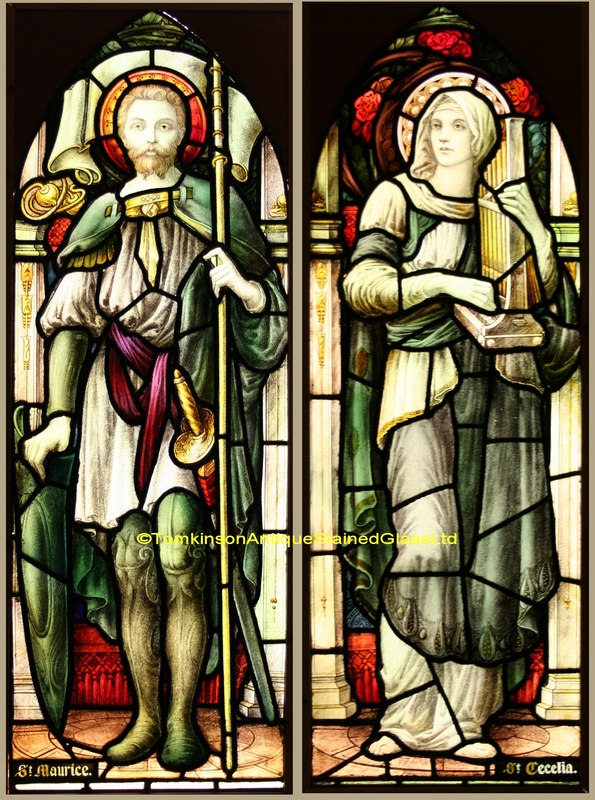 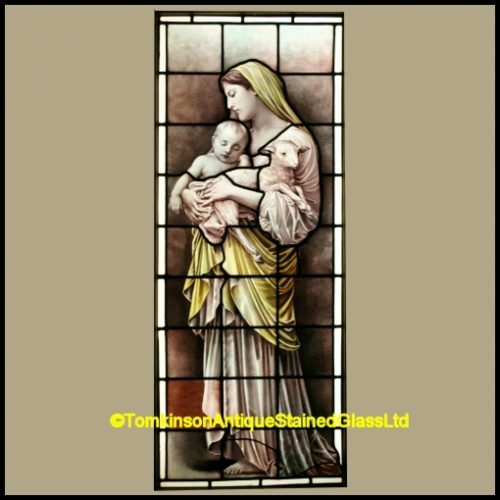 Ref: Rel350 Category: Antique Religious Church Windows Tags: church window, Gothic, lancet window, Pair, saint, Samuel Evens & Co.